On November 3rd, a former Utah Mayor, “Brent Taylor” was brutally killed in Afghanistan while serving in the National Guard. He died at the age of 39. Brent Taylor was married to his wife, Jennie Taylor and has 7 children. 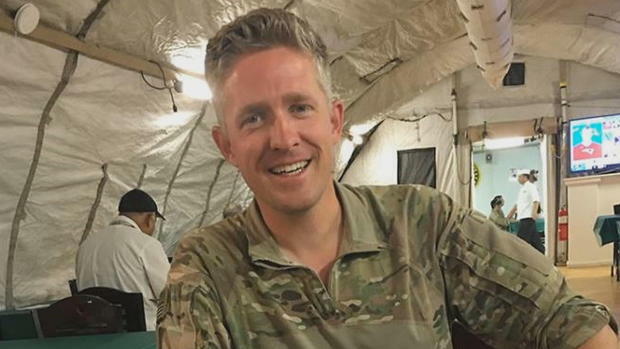 According to National Guard Maj. Gen. Jefferson Burton It was told that Brent “loved the Afghan people,” and was a man of confidence, and compassion, according to what family and military leaders said at a public funeral Saturday. It was said that Brent was ongoing training in Afghanistan when suddenly an Afghan commando shot fire at Brent. Brent Taylor was extremely committed to his training commandos as part of an effort to build the capacity of the Afghan national army over time. His goal was to make the National Army top tier, so they could build capacity in themselves and as a nation to be able to stand on their own. Hundreds of soldiers saluted Taylor’s flag-covered casket Wednesday as his remains returned to his home state in Salt Lake City. 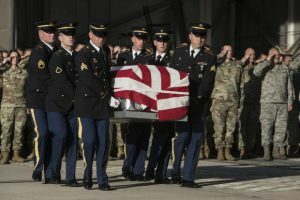 As hundreds of soldiers saluted while his casket covered in an American flag was carried across a tarmac and into a hearse. He made the ultimate sacrifice that sadly not a lot of people in this country today would make. He is a true hero. I don’t think people realize true bravery anymore, they think kneeling for the national anthem is daring and brave. I agree, Brent Taylor was innocent by all means out of this situation. It’s unfortunate that happened to him because he was trying to help his country overall and not just himself. He had goals for his job.